For its annual year long Unwrapped festivals, Kings Place has explored Brahms, Mozart, Baroque music and Minimalism; this latter was recognised at the 2016 Royal Philharmonic Society Music Awards, winning the Concert Series and Festivals category. And so next year it is the turn of the cello. For 2017, Kings Place will be celebrating Cello Unwrapped: truly madly deeply with concerts between 7 January and 16 December 2017. Curated by Helen Wallace (music journalist and cellist) in collaboration with Kings Place, the festival explores the many aspects of the cello from baroque to contemporary, from solo to various combinations of cello amongst a wide variety of friends. So as well as Bach solo cello suites, we can expect the UK premiere of Arthur Russell's Tower of Meaning, John Tavener's Svyati for cello and choir, Matthew Barley exploring Indian music, concertos by Haydn, Schumann, CPE Bach and many more. The festival opens on Saturday 7 January 2017, with Alban Gerhardt and the Aurora Orchestra, conducted by Nicholas Collon in Britten, Vivaldi's Cello Concerto in B minor, RV 424 and Tchaikovsky's Roccoco Variations. 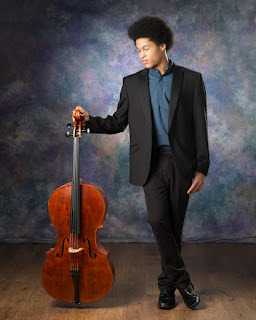 Later the same evening Gerhardt will be performing Kodaly's Sonata for solo cello. Sheku Kanneh-Mason made quite a stir when he won the BBC Young Musician in 2016, and there is a chance to hear him in recital when, accompanied by his sister Isata Kanneh-Mason, he performs music by Cassado, Beethoven, and Shostakovich. Cello and voice makes a lovely combination and there are chances to explore this. Kian Soltani and Voces8 perform Tavener's Svyati and are joined by Hugo Ticciati for Peteris Vasks Plainscapes for violin, cello and mixed choir. Soprano Joan Rodgers will join cellist Guy Johnson, with pianist Sholto Kynoch for a Russian themed programme which combines voice and cello. Soprano Ailish Tynan and cellist Christoph Coin, accompanied by Maggie Cole, will explore music written by Italians in 18th and 19th century London. Cellist Natalie Clein, soprano Ruby Hughes and pianist Julius Drake will be performing a programme which ranges from Bach and Schubert, through Cage and Janacek, to Tavener, Turnage and Berkely. And cellist Oliver Coates joins Tenebrae for a concert of music for Advent and Christmas. Moving away from strictly classical, Adrian Brendel will be bringing his tango band, and Californian cellist Natalie Haas and Scottish fiddle player Alasdair Fraser explore a folk-based programme.